The Executive Chefs of Merion Golf Club and The Duquesne Club have been accepted into the prestigious professional culinary society; their induction into the “Golden Chef’s Hat” organization represents the highest acclaimed recognition a chef can attain in America. They will be inducted during the society’s Annual Reunion at The Union League Club of Chicago in June. Jerry Schreck, Executive Chef of Merion Golf Club in Ardmore, Pa., and Keith Coughenour, Executive Chef of The Duquesne Club in Pittsburgh, Pa., will represent the club industry as part of the latest class of inductees into The Honorable Order of The Golden Toque. Schreck and Coughenour will be inducted into the prestigious culinary organization as part of The Honorable Order of the Golden Toque’s Annual Reunion, which will be held at The Union League Club of Chicago June 7-9, with Union League Club Executive Chef Michael Garbin hosting the group. The “Golden Toque” was originally founded in France and brought to the U.S. by Chef Pierre Berard. It is registered in the United States Patent Office as The Honorable Order of the Golden Toque, founded in 1961. Golden Toque means “Golden Chef’s Hat,” and induction into The Honorable Order is the highest acclaimed recognition a chef can receive in America. Chef John D. Folse, CEC, AAC, the keynote speaker at C+RB‘s 2019 Chef to Chef Conference in New Orleans, is a member of the Order. Membership is restricted to one hundred lifetime members, and one may not apply for membership, but must be nominated by three active members. In addition to biographical information, those nominated must also submit an essay detailing their dedication to and passion for the culinary profession. After nominations are received, a screening process is conducted through the Acceptance Committee composed of past Grand Commanders and the Board of Directors. Final acceptance must be granted by the membership at the Annual Meeting. “Membership in the Honorable Order of The Golden Toque is indicative of a lifetime of dedication to the pursuit of excellence in The Culinary Arts,” the organization’s website states. The Order’s stated vision is defined as “[seeing] ourselves as a collection of vibrant, senior culinarians, anxious to promote student success in viable teaching and learning environments. We are an association that thrives on continuous improvement for ourselves and those whose lives we effect, as we travel down the path of life. “The Members of the Honorable Order of the Golden Toque stand united in our conviction that in dealing with our fellow members and the members of our industry there is a definite need for an association where integrity means more than personal profit; where ‘service, quality and honor’ means more than personal gain, and where honesty is the true standard of membership,” the organization’s website states. Members of the Order abide by a Code of Ethics and the organization supports annual scholarship grants to students at selected culinary schools. Schreck’s nomination for induction into the Order was supported by Charles Carroll, CEC, AAC, Executive Chef of River Oaks Country Club in Houston, Texas; Paul O’Toole, CEC, AAC, Executive Chef of The Field Club in Pittsburgh, Pa., and Jim Miller, CEC, Corporate Chef of Cres Cor, the Mentor, Ohio-based manufacturer of mobile kitchen equipment. Member of the Order also contribute to a cookbook, “Favorite Recipes by Golden Toque Chefs and Their Families,” that is sold to help fund the society’s scholarship support for future culinarians. Schreck will now contribute recipes for signature dishes from Merion GC to the book, including Shepherd’s Pie and Yellow Tomato Gazpacho. Joe Barks is the Editor of Club & Resort Business magazine, working out of Wayne, Pa. (suburban Philadelphia). He has been covering the club and resort industry since the launch of C&RB in April 2005 and during that time has written cover-story profiles of over 150 club and resort properties, as well as many additional articles about specific aspects of club management and profiles of leading club managers. 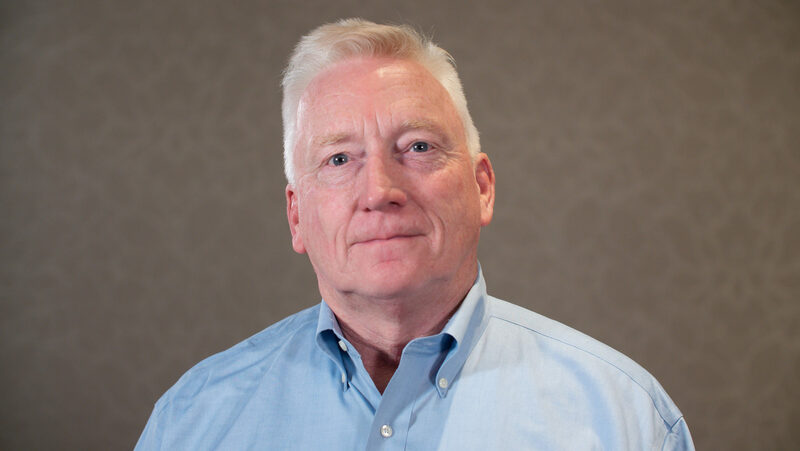 Barks has been a writer and editor for specialized business publications for over 40 years, covering a wide variety of industries and professional disciplines over the course of his career. He is a four-time winner of Jesse H. Neal Awards from the American Business Press, known as the “Pulitzer Prizes” for industry trade publications. He has also been a freelance contributor to many leading national consumer and business publications, and served as Marketing Manager for the Hay Group, a leading worldwide management consulting firm. He is a graduate of the University of Pennsylvania.